Is the Premier League already a two-horse race? City and Liverpool look like the sides to beat. Wheels come off Sarri's Chelsea after two defeats in 10 days. After a full pre-festive fixture list in the Premier League, we thought it a good time to step back and see what is happening in the world’s most popular league before the hectic winter schedule. IS THE TITLE ALREADY A TWO-HORSE RACE? The Premier League is often accused of being too predictable. That, bar the did-that-really-happen, still-cannot-believe-it shock of Leicester City winning the trophy in 2016, the champions will only come from an ever more detached group of moneybags teams. This season could be the most predictable yet. It's not even Christmas and we are already calling this season’s title race a two-horse affair. Liverpool, in second, are already six points ahead of Tottenham in third and Manchester City, the current leaders, are another two points in front of them. It is not just the gap, though, that suggests the other teams are playing for Champions League spots — the Reds and City look a class apart. 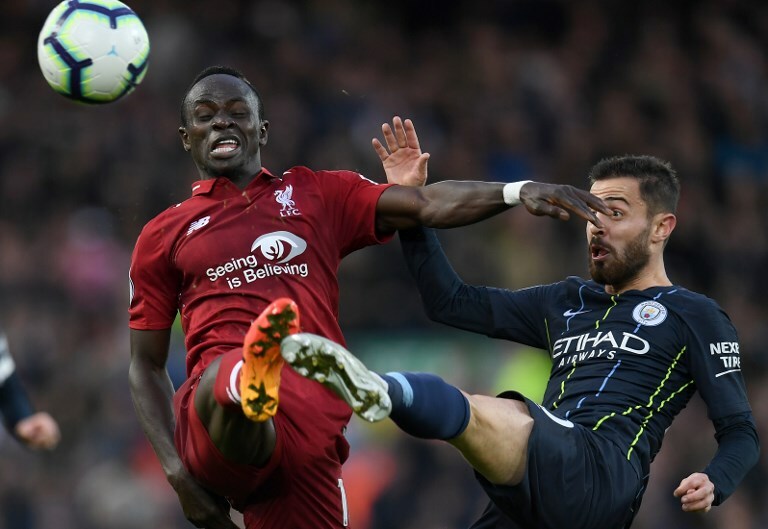 While the top two were easily — with a healthy mix of fight and flair — picking up three points at tricky away ties at Burnley and Watford, their rivals for the title were looking shaky rather than solid. Spurs, for all their brilliance in attack, looked brittle at the back against a Southampton team that has won just once this season. Arsenal could not beat the most lackluster Manchester United side we can remember (see below) and Chelsea lost to newly promoted Wolves, their second defeat in the space of 10 days. It may not be what you want to hear, but make no mistake about it, the race for the title is already a two-horse one and we are not even near the back straight. 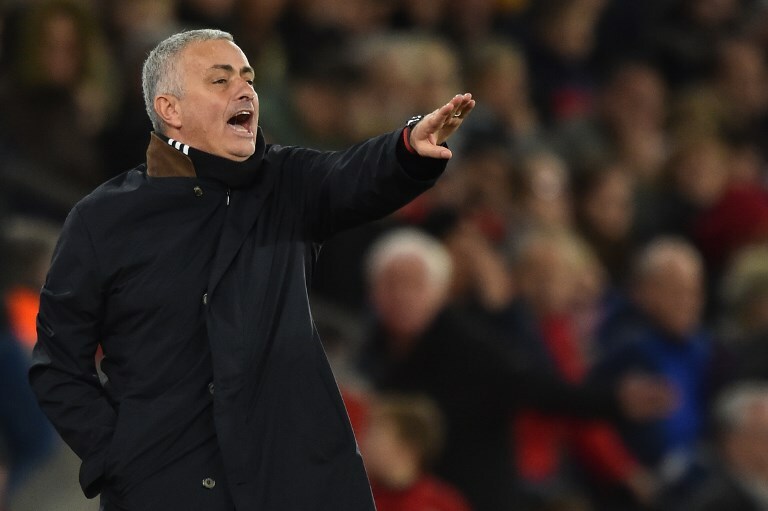 It is hard to put into words just how bad Manchester United have become under Jose Mourinho. The reaction to the 2-2 draw at home to Arsenal said it all. Apparently, having looked devoid of fight during their 2-2 draw at Southampton on Saturday, the fact that United showed some intensity against the Gunners was a sign of progression and of things going the right way. In that one sentence you have proof that under the Portuguese the Old Trafford club have become B-list. Fight and intensity are the very least you expect from a club with the biggest wage bill in the Premier League. But under Mourinho the talk and tone has changed. From being perennial title favorites, the coach now talks in terms of finishing in the top four as a success. Under Sir Alex Ferguson, United won titles and trophies galore. Under Mourinho — brought over two years ago to bring back the glory days — the fans now are served up dull, defensive football, without hope of silverware. United are eighth, eight points off a Champions League spot, 18 points behind City, and behind Bournemouth. Mourinho has spent his career sucking the life out of football, and now it seems he is slowly sucking the life out of United. Maurizio Sarri enjoyed a great start to life as coach of the Blues. He broke the shackles of Antonio Conte’s regime and brought in a more attacking philosophy. Eden Hazard was playing some of the football of his career, they were unbeaten in their first 12 matches and looking good for a title challenge. Over the past 10 days the idea that the chain-smoking Italian could turn the Blues from a fifth-placed side to potential champions has been dealt a knee-high tackle. It took Pep Guardiola a year to impose his will and system on City and it seems the same length of time is needed, at the very least, for Sarri to do the same at Stamford Bridge. 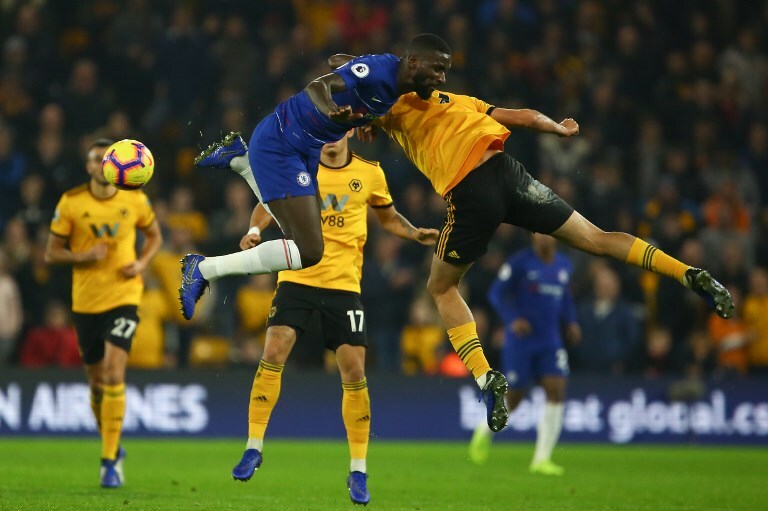 Being outclassed by Spurs two weeks ago and outfought at Wolves highlighted the need for N’Golo Kante to play in his favored position as defensive midfielder, but those defeats also laid bare the extent of the job the likeable Sarri has on his hands. They head into tomorrow’s home clash against City 10-points adrift of the league leaders and it is likely to get worse before it gets better. ORLANDO, Florida: Pascal Siakam had 30 points and 11 rebounds, Kawhi Leonard added 16 points and the Toronto Raptors held off the Orlando Magic 98-93 on Friday night to take a 2-1 lead in the Eastern Conference first-round series. Siakam was 13 for 20 from the floor and the Raptors held Orlando to 36% shooting. Leonard had 10 rebounds, Danny Green had 13 points and Kyle Lowry finished with 12 points and 10 assist. The Raptors trailed 61-60 midway through the third, then went on a 16-0 run over the next four minutes to take the lead for good. Siakam and Green were both 3 for 3 during the run, the Magic missed 10 consecutive shots over a span of 6 1/2 minutes and had to play uphill the rest of the way. Leonard was short with a jumper on the next possession — but the Magic couldn’t control the rebound, and were doomed shortly afterward. Leonard made a pair of free throws with 12.9 seconds remaining to make it a two-possession game again, and that closed the scoring. Toronto scored the first 10 points — the last five by Siakam, who was a problem from the outset for the Magic — and led by as many as 11 in the first half. Orlando got within one on three occasions in the first half, but never got the lead in the opening 24 minutes. Toronto took a 48-45 lead into the break after Ross beat the clock from midcourt at the buzzer. He took off from the Magic logo and released the ball with about a half-second remaining, it hitting the square on the backboard perfectly and dropping through. Ross never broke stride, watching the ball’s flight as he ran and kept going through the tunnel leading to the Magic locker room. Raptors: Toronto had lost four consecutive Game 3s. ... Patrick McCaw (sprained right thumb) was active, but did not play. ... The Raptors are 6-1 in their last seven road games this season. ... Siakam has 73 points and 30 rebounds in the series. Magic: Among the former Orlando players in the building were Tracy McGrady, Jameer Nelson and Horace Grant. ... Orlando missed three shots at the rim in one third-quarter possession. Vucevic missed at the rim, and Gordon couldn’t convert on two putback tries. ... Attendance was 19,367, the second-most in the Amway Center’s nine-season history. Florida Gov. Ron DeSantis and the state’s first lady Casey DeSantis were in attendance and received Magic “46” jerseys — a nod to his being the 46th governor of the Sunshine State. The governor and Magic CEO Alex Martins spoke pregame about the hope for Orlando to get another All-Star Game soon, though all through 2022 has already been awarded to other Eastern Conference cities — and Milwaukee, another East city, has expressed interest in 2023.